The Sooner Ranch stock combo models are perfect for livestock and/or horse owners who need a versatile trailer. 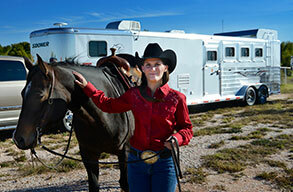 These trailers combine the rugged aspects of a livestock trailer with the conveniences of a horse trailer. Sooner offers 7' wide stock combo models and 8' wide stock combo models with height options of 6'8" or 7'2". 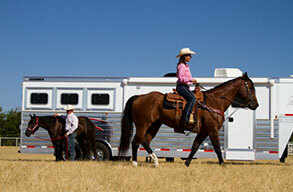 Sooner Ranch 7' wide Stock Combo Trailers are perfect for transporting either livestock or horses. Available in base lengths of 16' to 30' with height options of 6'8" or 7'2". 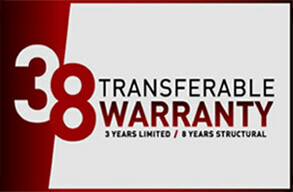 Sooner Ranch 8' wide Stock Combo Trailers give you extra room in the stock area with various customizations available to suit the trailer to your needs. Available in base lengths of 20' to 28' with height options of 6'8" or 7'2".